Gerald M Bilkes, Memoirs of the Way Home: Ezra and Nehemiah as a Call to Conversion. Grand Rapids: Reformation Heritage Books, 2013. 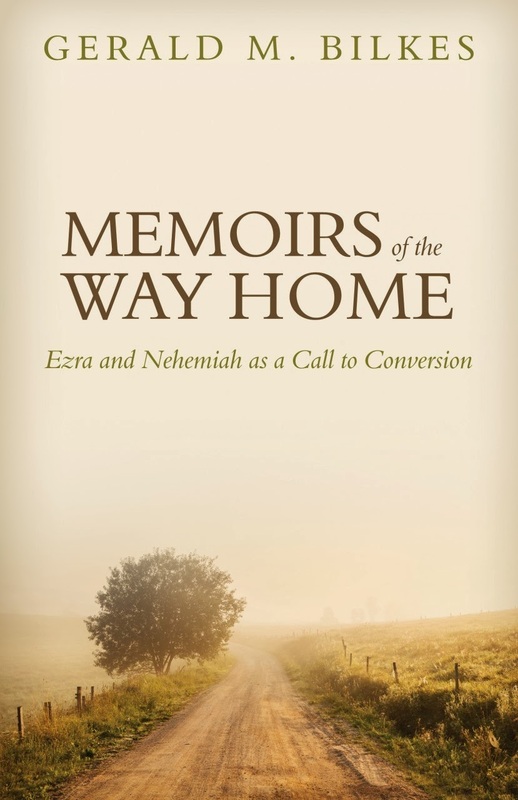 Memoirs of the Way Home is a thematic exposition of the books of Ezra and Nehemiah. Combining these books into single study is appropriate since these books should be read as a single unit. Memoirs is a thematic exposition in that the author understands Ezra and Nehemiah as an extended account of the prodigal’s way back home” (2). The subtitle of the book also suggests another metaphor, namely, conversion. The book contains thirty-three brief chapters, ten devoted to Ezra and 23 to Nehemiah. Each chapter includes several study questions. There are also two appendices (Lessons for ministry from Ezra and Lessons for prayer from Nehemiah). The expositions are fairly concise and generally give the reader a decent explanation of the contents. (One who is looking for a detailed discussion of the text will need to turn elsewhere since the author clearly does not intend for this work to be exegetically comprehensive.) Principles and applications are intermingled throughout the discussion. Bilkes’ prose is simple, clear, and pastoral. Many of the chapter-ending questions are helpful and could be put to effective use in a class or small group setting. Preachers are also likely to find nuggets here and there to incorporate into their sermons. However, I am not sure whether the prodigal metaphor works all that well and I found some of the attempted connections to the theme a bit strained. In the parable of the prodigal son, the son chooses to leave. In Israel's exile the people did not choose to leave but were in fact forcibly removed. Similarly, the return of Israel was not the result of coming to one's senses (see Luke 15:17) but of the grace of God who allowed His people to return. Equally unconvincing is the metaphor of conversion. Related to these two issues is the tendency to shift too quickly to the New Testament. While it is wholly appropriate for Christians to move ultimately to the New Testament, one senses that Ezra and Nehemiah are not being allowed to speak on their own terms. These criticisms aside, Bilkes is to be commended for drawing attention to these less familiar books of Scripture. You can read a PDF excerpt here. Thanks to Reformation Heritage for providing the copy used in this unbiased review. I had before never thought of Israel as the prodigal, but in a sense Israel as nation did choose exile through generations of sinning against the Lord. Thanks for sharing the review. There might be good reasons for why you have never thought of Israel as the prodigal. It seems to me a better metaphor for disobedient Israel would be a wayward wife. This metaphor occurs in a number of times in the prophets. If you wanted to tie this theme to the NT, you might just move back 8 chapters to Luke 7:36-50.